Goodreads: It’s a week before Christmas and Louisa Graham is working twelve hour shifts at a bakery on Manhattan's Lower East Side. When a young cooking show assistant comes in from the rain and begs to buy all the cinnamon rolls on her tray, she doesn’t know what to do. Louisa is just the baker, and they aren't hers to sell. But the show burned the rolls they were supposed to film that day, so she agrees. Kritters Thoughts: For me with Anita Hughes books, there is no in between, I either love them or completely dislike them. This one just didn't work for me. There were two female leads - Louisa and Kate. Louisa, I just couldn't understand nor like. Kate was fine, but wasn't enough to overcome my dislike of Louisa. Louisa is plucked out of obscurity when she is working late in a bakery in New York. She is asked to fill in for a famous chef and fly to London to film a show. Kate is a producer on that show and needs this show to go well to ensure her job. But she will run into her past in London and will have to make some decisions. Kate was great. I loved the drama she had to deal with and loved seeing through her eyes the behind the scenes of shooting a tv show. She was a strong female character and I could root her on from page one. Louisa was way too wishy washy for me and all over the place. Her side of the story didn't seem plausible and I just couldn't get into it. I felt like her feelings were all over the place and she just seemed too clueless for me. I like my female characters to be strong and aware of what is going on around them. 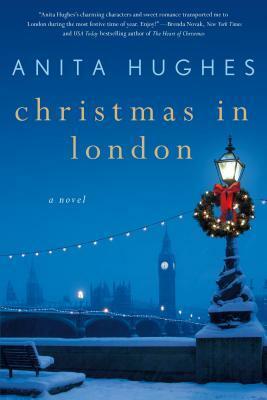 So I will still read Anita Hughes books, but I will still be wary of my reading of her.